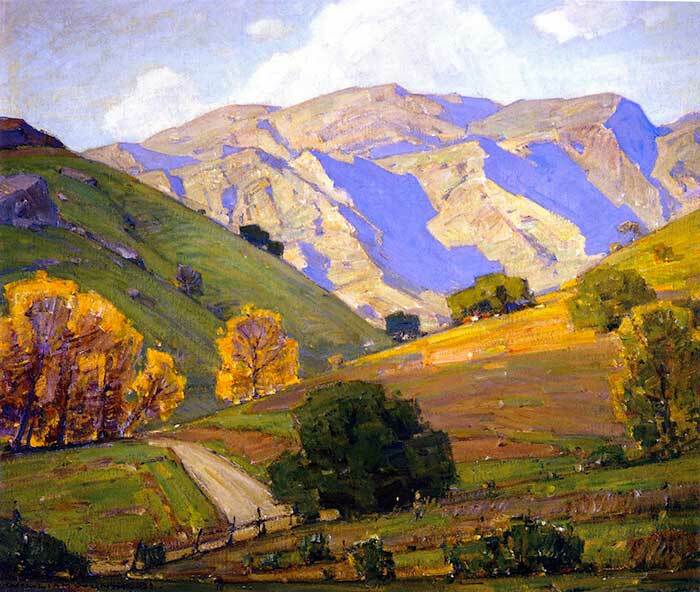 William Wendt (1865 - 1946) was a German-born American painter who was known for his bold and colorful landscapes. 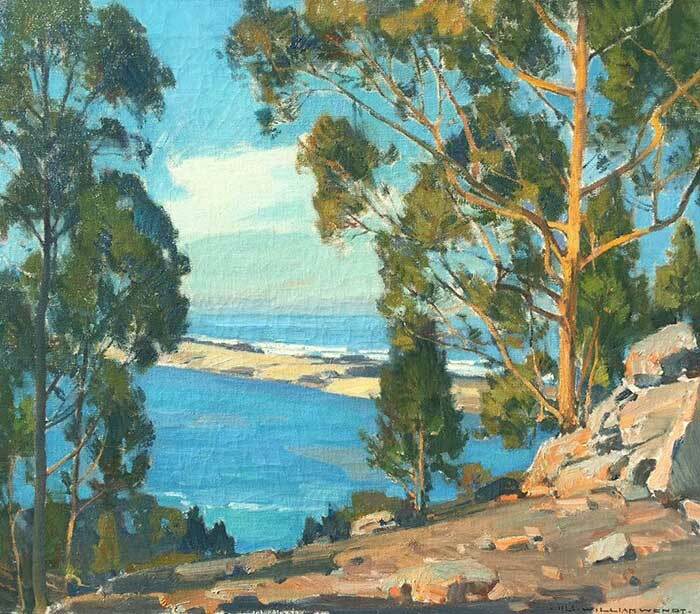 He spent much of his life painting the California landscape and his prominence earned him the title "the dean of Southern California artists". 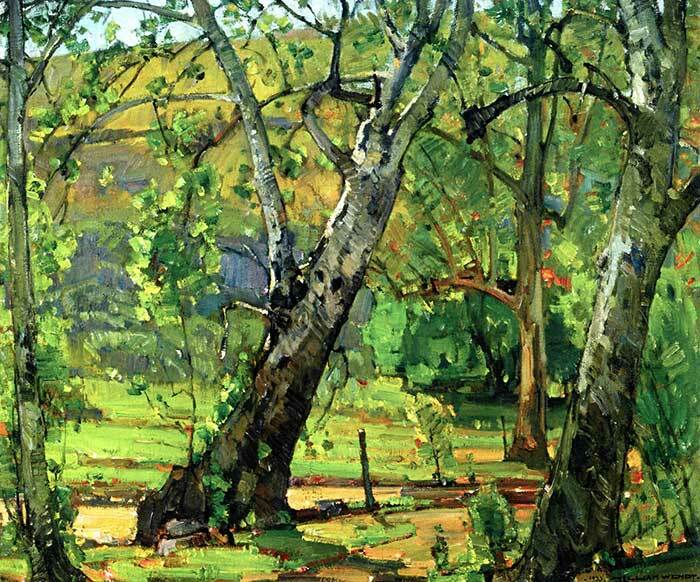 Many of his paintings feature lush trees, rolling hills and a beautiful sense of atmosphere. It seems he enjoyed using short, jabbing strokes of thick paint and bold color, especially towards the end of his career. 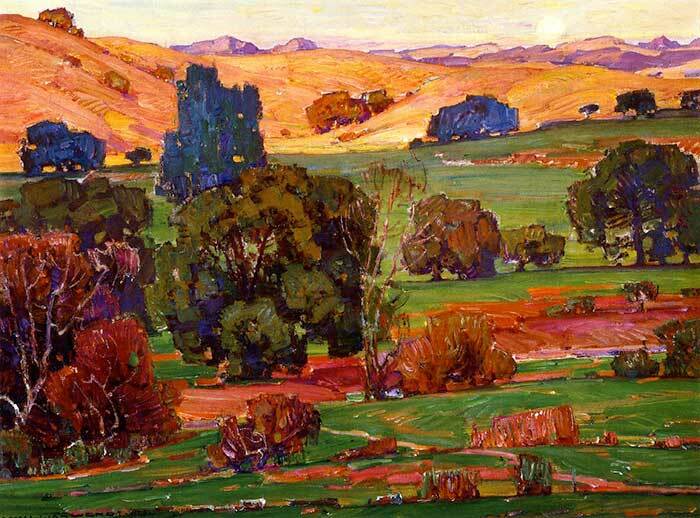 One of the most interesting aspects of Wendt's paintings is how he utilized relatively hard edges to create these distinct shapes of color. This is similar to how Edgar Payne worked. Below is a perfect example of this. 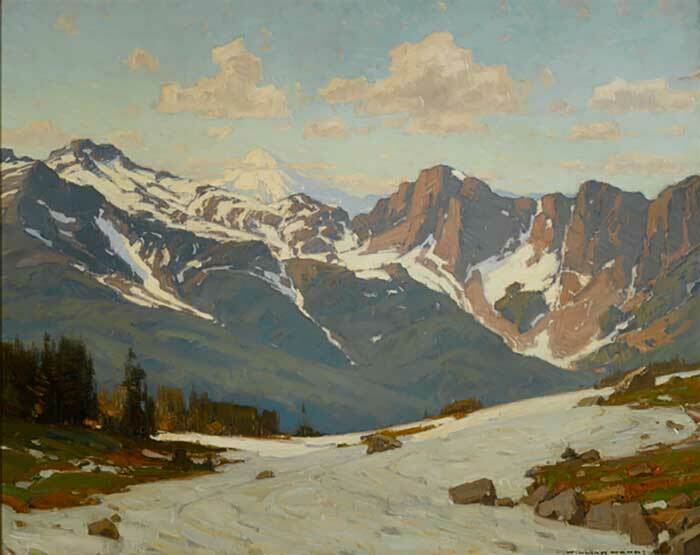 Notice in the mountains how Wendt did not soften the edges (as many artists would do), but instead left the edges relatively hard and used high-key colors to give a sense of atmospheric perspective. 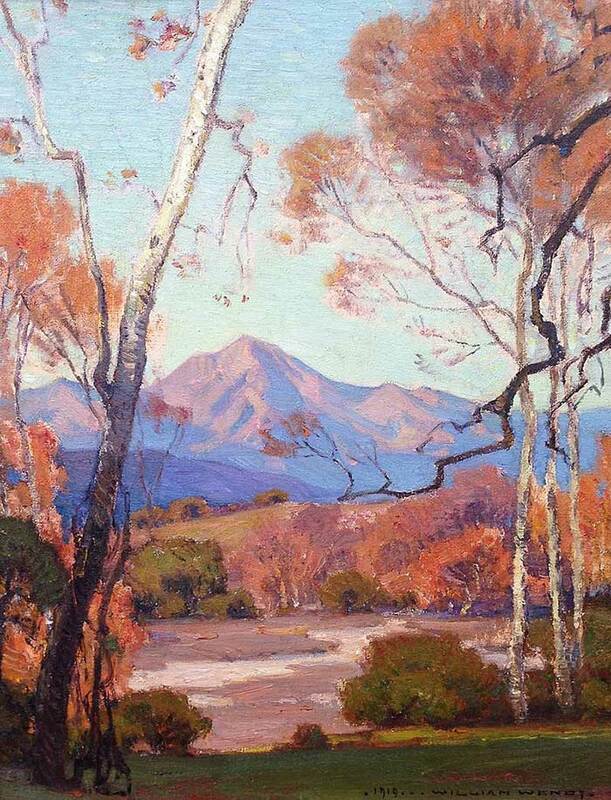 If you enjoyed these paintings, then I recommend you check out In Nature's Temple, the Life and Art of William Wendt. 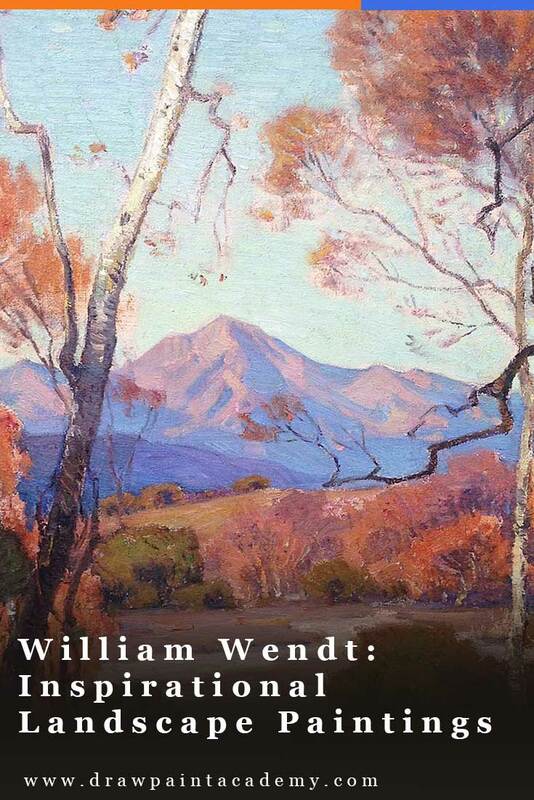 It is a 300 page book which features many of Wendt's paintings in great detail. 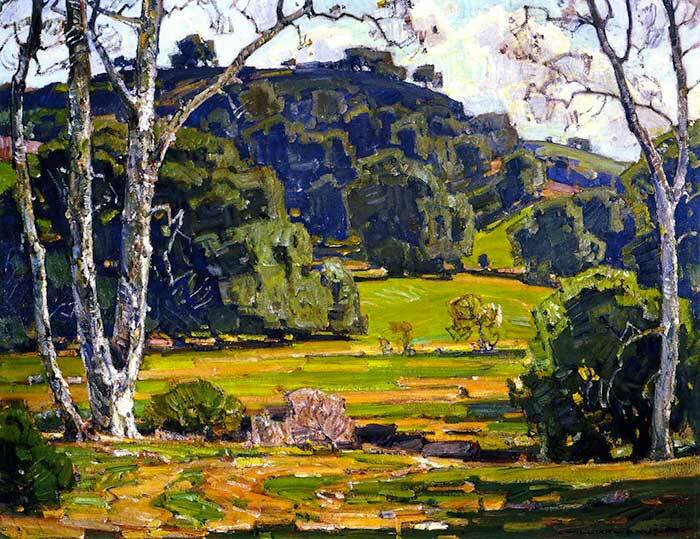 Which is your favorite painting by William Wendt? My personal favorite is Gentle Evening Bendeth (the first painting in this post), mostly due to how he painted those mountains. 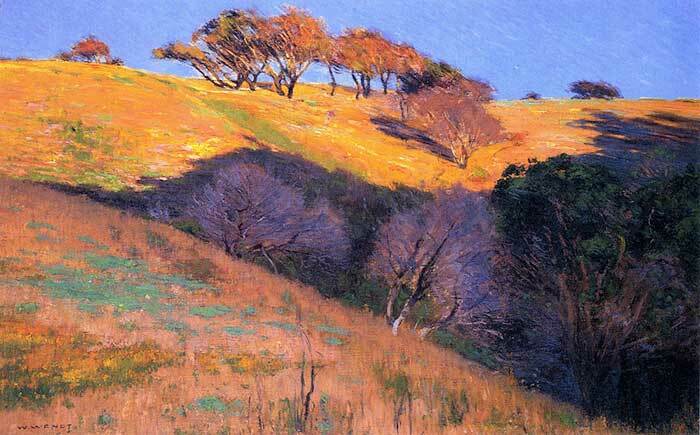 I like all his work, my favourite is Head of Amarillo Canyon, 1897. Love Lupine Patch for the vibrant colors. Thanks for introducing me to Wm Wendt. The thing I noticed and liked in these paintings was his use of shadows in the fore and mid grounds. I will certainly study more of his work. Thanks again. I love the grove of trees and The bay , the bar , the sea. Light is so beautiful. they were all very nice . On first glance, Eucalyptus Latuna, impressed me the most. Hi Dan: Thank you for doing a wonderful job of teaching and sharing your knowledge. Having traveled the Pacific Coast Highway and other visits to California, I am in awe of these landscapes. Frankly, I have always been to intimidated to even try a California landscape. I just can’t do the beauty justice. However, this artist makes me feel the constant breeze from the Pacific. Lovely. 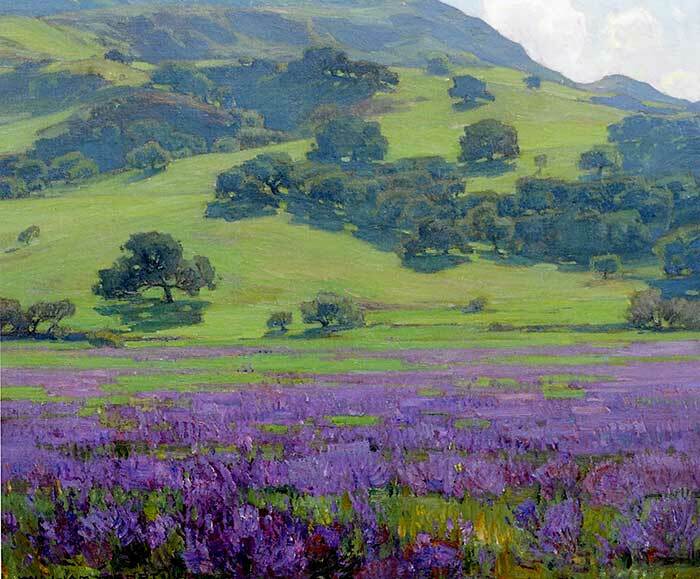 Hard to choose just one but Lupine Patch captures so well those beautiful Oak clusters on the hills better than anyone else I’ve seen. The eucalyptus also, its very casual/loose style seems much like the trees themselves that seem to hang out enjoying the sunshine and ocean’s salty breeze. Thanks for sharing his work. California’s fires over the past year have injured so many places I love, and even though I was always amazed at the rapidity of nature’s repair, it feels like so much s. It feels healing to see these pieces of California’s beauty. I love all these landscapes for the vibrant colors that it’s my favorite style. Thank you for sharing. Thank you for sharing this and reminding me how much I love Wendt. Before I moved to Spain from California it was one of my last purchases so that I would have his book with me here. It was in some ways to bring a bit of California with me. 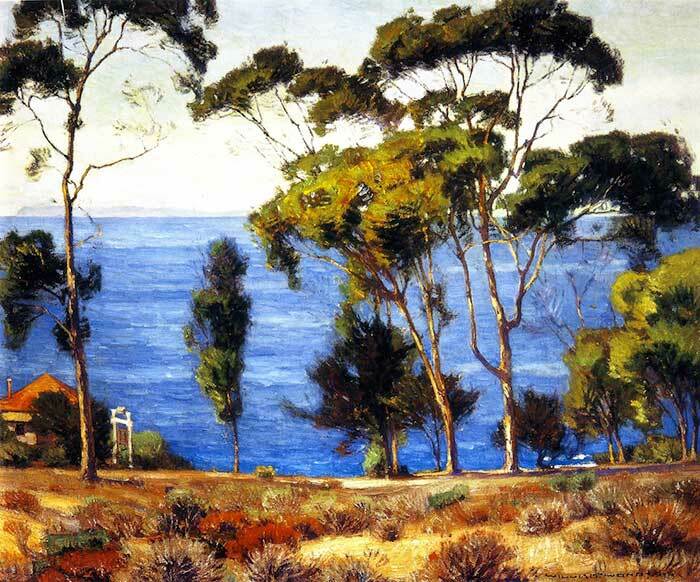 Of the paintings you have chosen to show I think “Grove of Trees” speaks to me the most. The way in which he captures the depth from the foreground to background really gives the sense of entering the grove and feeling the sun and shade of the trees. Thank you so much for sharing. 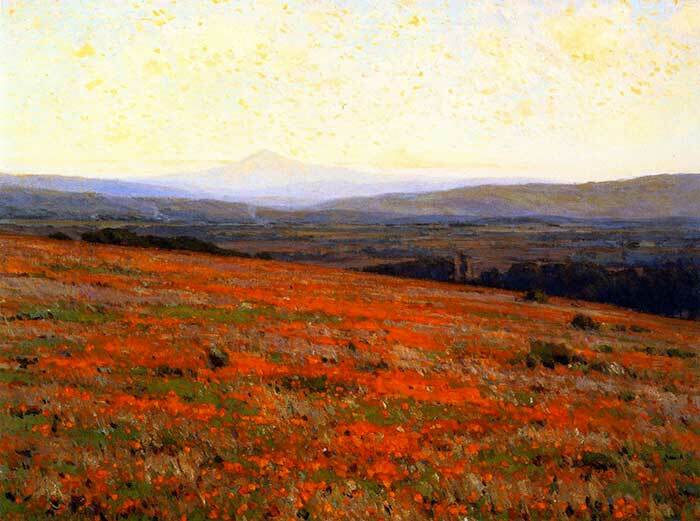 Its hard to pick a favorite although the Gentle Evening Bendeth is so striking and reminds me of Edgar Payne’s amazing style. 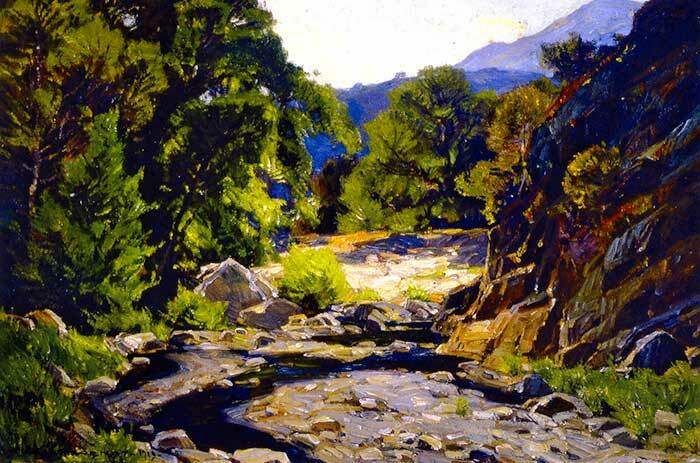 I like California Stream as it makes one want to be in the painting!